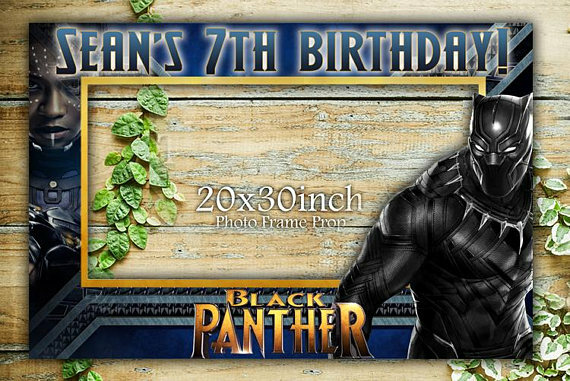 Superhero birthday parties have always been a huge party theme here on Catch My Party, but I'm sure, with the release of Marvel's Black Panther last week, lots of kids will be dying for a Marvel Black Panther birthday party of their own. The movie has been a long time coming and will blow you're mind! Make sure you check it out. 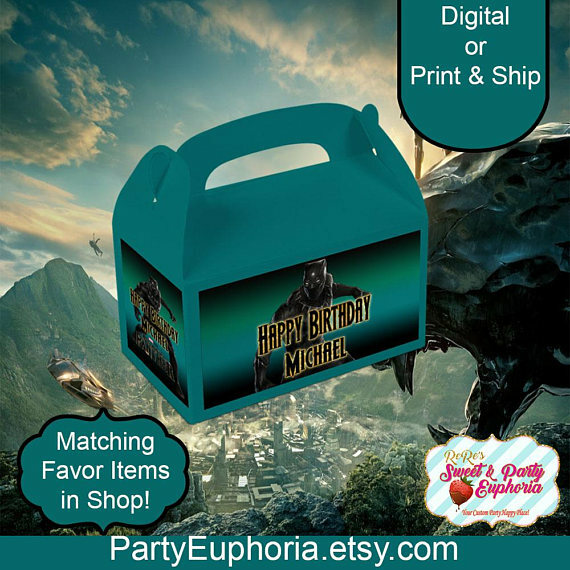 To help you prepare and get inspired, check out these 12 awesome Marvel Black Panther birthday party supplies I have rounded up for you. 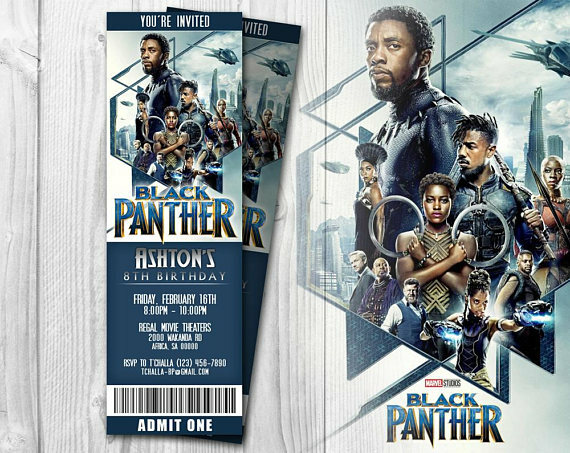 Treat your guests to an inspirational trip to the movies to watch (or re-watch)Marvel's Black Panther, with a special movie ticket party invitation like this one! How surprised are they going to be with a trip to the movies?! 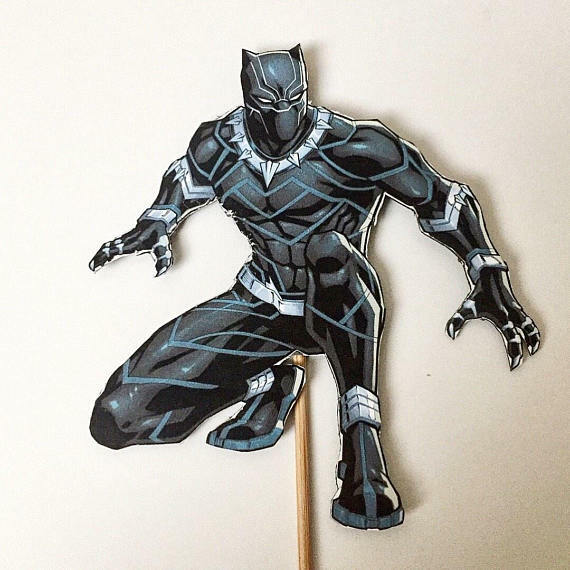 If you're looking to transform a simple birthday cake in to a Black Panther one then this topper is all you need! 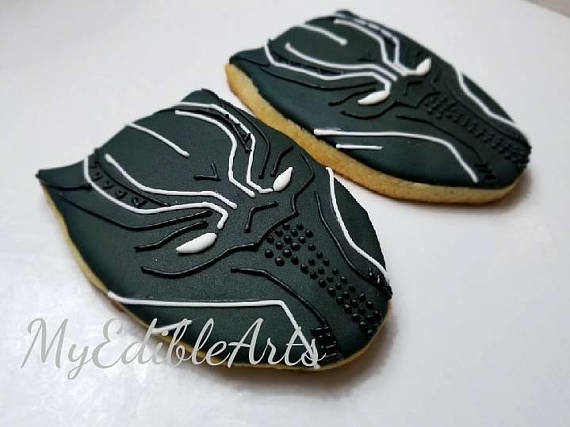 Fill a plate with these awesome Marvel Black Panther mask cookies for the ultimate party food! 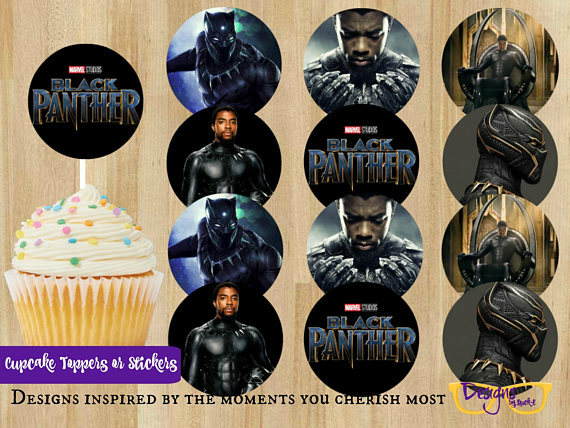 Decorate a batch of frosted cupcakes with these cool toppers to give them the Black Panther look you need! 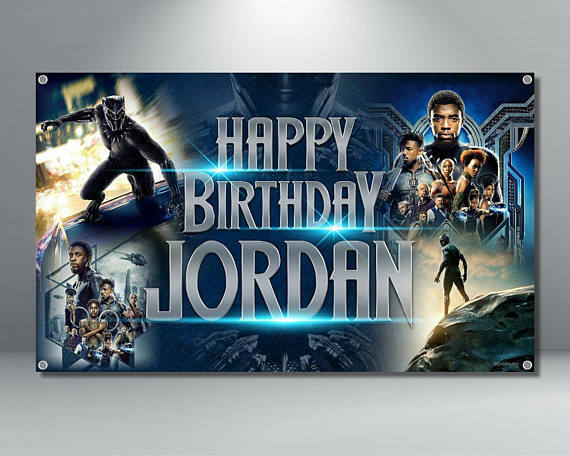 If you're looking to create an impact at your party, how about hanging this awesome personalized Marvel Black Panther backdrop with cool images from the movie? 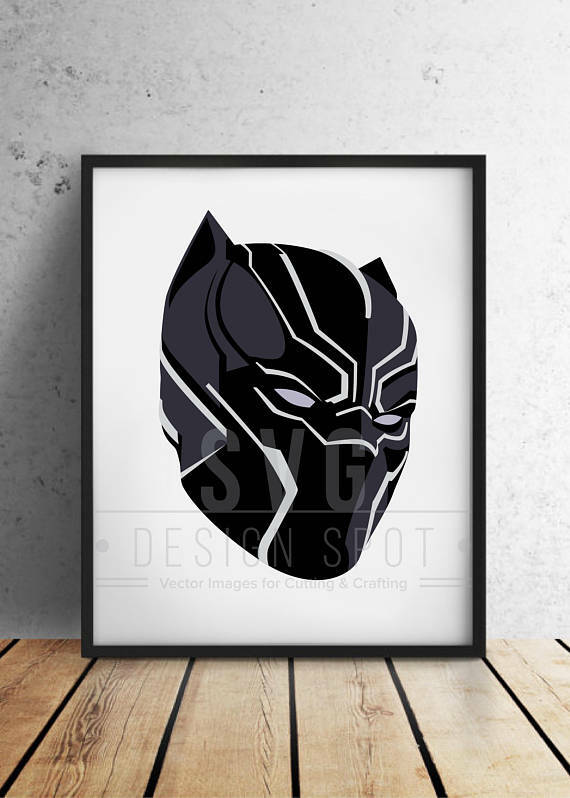 Decorate a wall or your dessert table with a framed poster of the Black Panther. Love the minimalist look. It's so sleek! You can even have it printed out on a larger scale and use it as a backdrop. 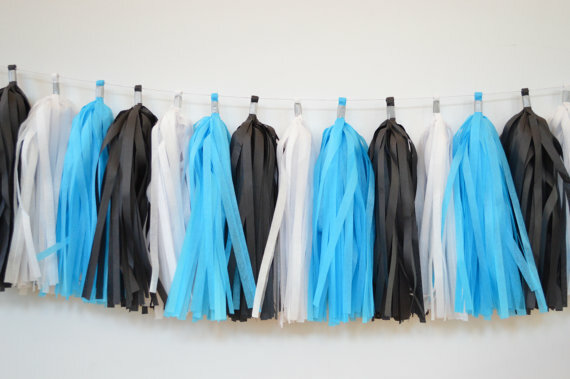 Tie this black, white and blue tassel garland to you dessert table to give your party that Black Panther feel. 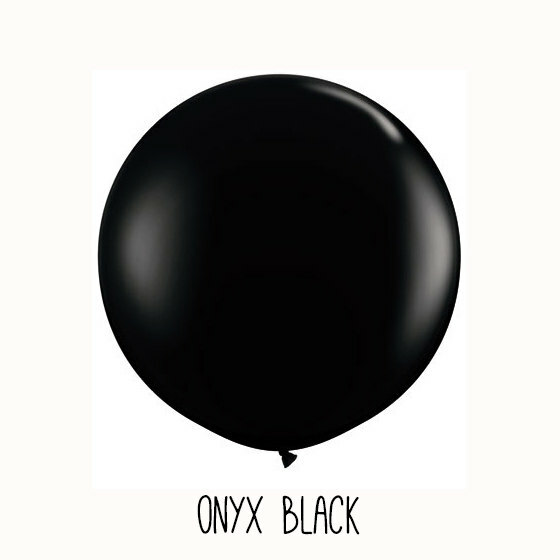 How about adding these cool perfect circle black balloons at either end of your dessert table. You know they'll look incredible! If you need centerpieces for your table look no further! This Black Panther centerpiece is just what you need. Perfect! 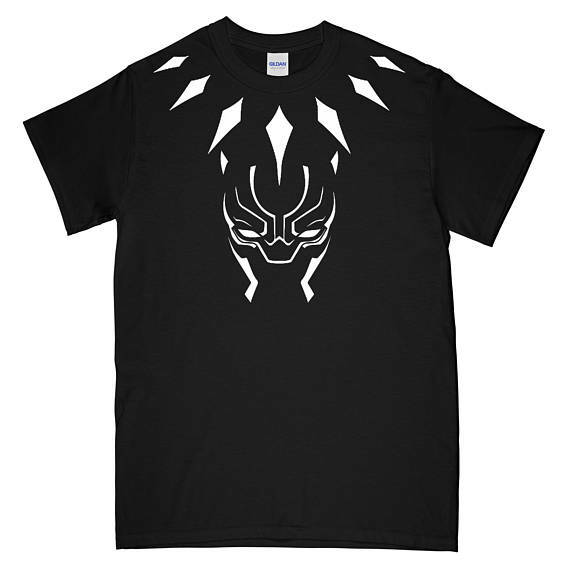 If you can't get hold of a Black Panther costume (that I'm sure you're son would love) then this t-shirt is an awesome alternative! I'm sure your son will walk proud! Check out this fun Black Panther photo booth frame. Your guests are going to have a blast fooling around while you take photos. Get ready for some awesome memories to look back on! 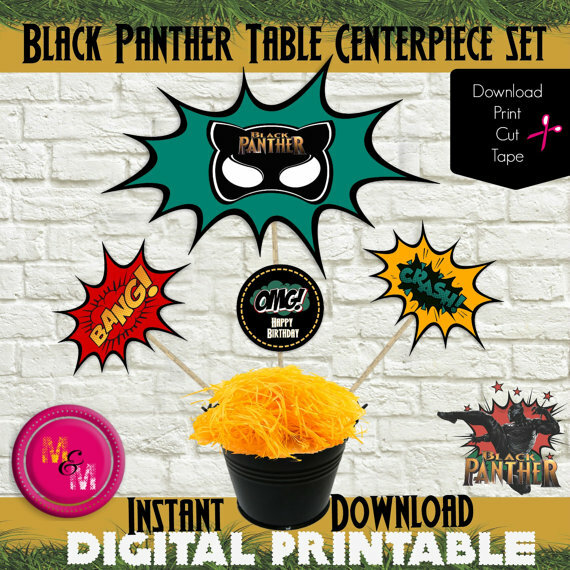 Send your guests home with a smile on their face and one of these Black Panther party favor boxes full of cool goodies. For more inspiration, check out all these fantastic superhero party ideas on our site, and check out these superhero party supplies from vendors with listings on Catch My Party!